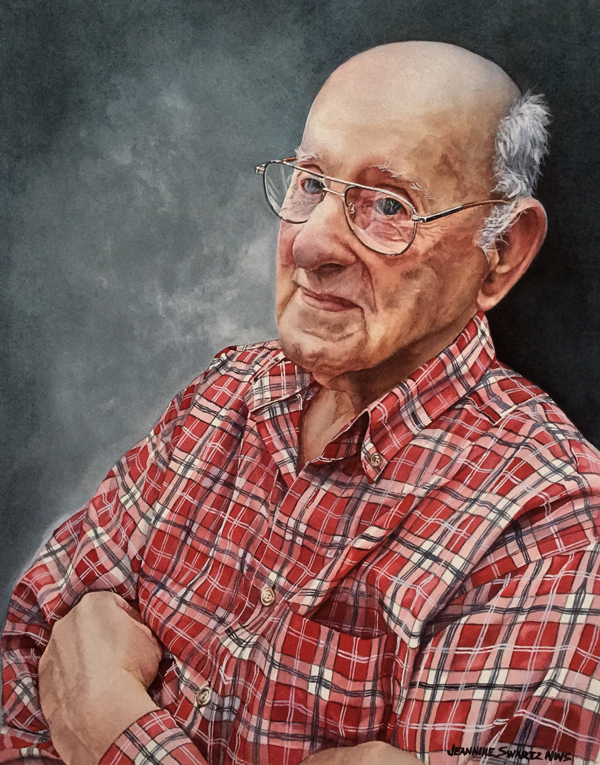 Jeannine Swartz of Mechanicsburg, Pa., won Best of Show for “Daddy” at the West Virginia Watercolor Society’s Aqueous 2018 exhibition, currently on display at the Parkersburg Art Center through July 7. Juror Ron Thurston, AWS, made the exhibition selections, as well as the award winners. More than $2,300 in awards was distributed June 2 at the awards reception at the community art center, located at 725 Market St., Parkersburg. Gallery hours are 10 a.m. to 5 p.m., Tuesday through Saturday. To see more of this year’s Aqueous award winners, and also to view the entire exhibition in an online slideshow, visit the Aqueous 2018 page HERE.